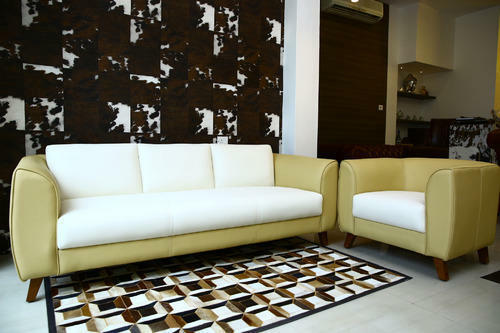 With a firm commitment to quality, our organization is engaged in manufacturing, wholesaling, retailing and supplying a wide range of Three Plus One Modern Designer Sofas. Adds a classic touch to homes and offices & aesthetically designed as per the emerging market trends, made from the best quality material, this designer sofa guarantees to its unmatched quality. Along with that, this designer sofa is acknowledged for its smooth finish and less maintenance, for wide application in residential sectors.